Every once in a while, you read a book that wows you from start to finish, that draws you so deeply into the story that you don't even notice the hours passing. 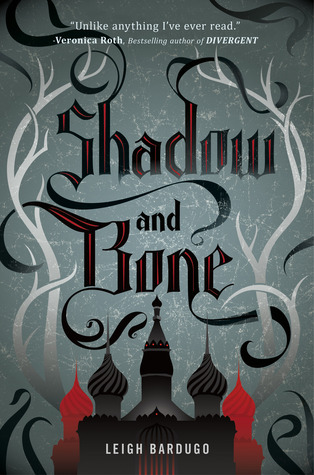 Shadow and Bone by Leigh Bardugo was one of those books for me. Someone said it was on Netgalley, so I requested it (I don't think that it's there anymore though), and ASJFAJK one of the best books of 2012. Definitely going on my all-time-favorites list. No, really, though. This book doesn't come out until June but GAH, I'm dying, you all. I'm dying because I want to add the sequels to my to-read shelf, want to have an actual copy of this book, and most definitely do not want to wait like a year and a half for the next book to be released. I think I've already skimmed through this book like five times, and I finished it like five hours ago (at the time I'm writing this, that is). Watch out for this book. Pre-order it from Amazon or Barnes & Noble. 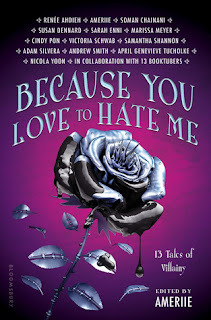 Look at Leigh Bardugo's website and her blog. Follow Leigh Bardugo on Twitter. Like Shadow and Bone on Facebook. There's also the map and interior of the book that you can examine at your leisure. And! There's an interview with Leigh Bardugo on The Story Siren. "This was his soul made flesh, the truth of him laid bare in the blazing sun, shorn of mystery and shadow. This was the truth behind the handsome face and the miraculous powers, the truth that was the dead and empty space between the stars, a wasteland peopled by frightened monsters." "I could feel my pounding heart, the press of silk against my skin, the strength of his arms around me, one hand buried deep in my hair, the other at my neck, pulling me closer." **There are lots of others, but I don't want to spoil anything so... here's the first sentence! First line: "The servants called them malenchki, little ghosts, because they were the smallest and the youngest, and because they haunted the Duke's house like giggling phantoms, darting in and out of rooms, hiding in cupboards to eavesdrop, sneaking into the kitchen to steal the last of the summer peaches." **Note: I will be reviewing this book closer to its release date. I really can't wait to read this book! I've heard such great things about it!